Panelbeating is a highly specialised work. 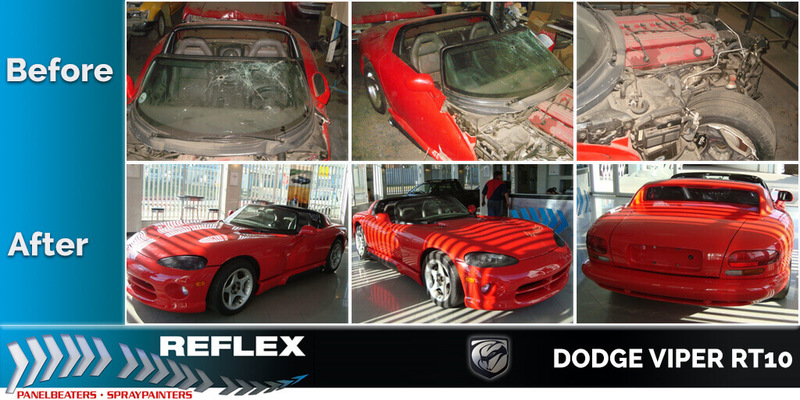 Our skilled team of specialists repair and replace damaged parts to restore your vehicle, using specialised equipment. 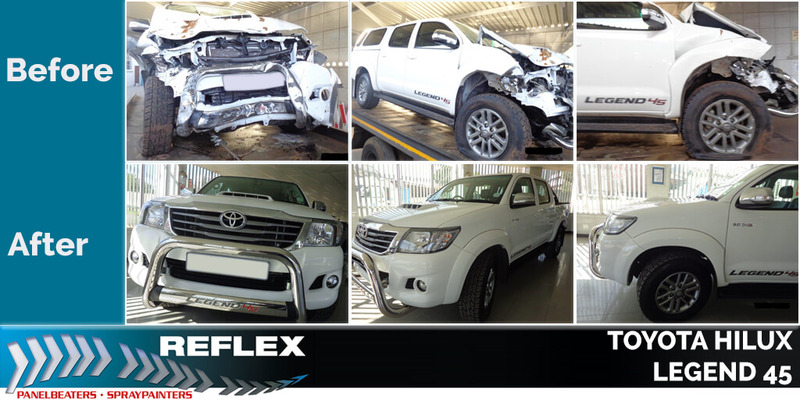 We utilise electronic diagnostic devices, chassis straightening equipment, body saws, welders, jigs and specialised tooling in this process. Motor manufacturers utilise a number of different types of steel in building a safe, structurally sound vehicle. These manufacturer standards require the use of a variety of different techniques and tools to repair these various types of steel. 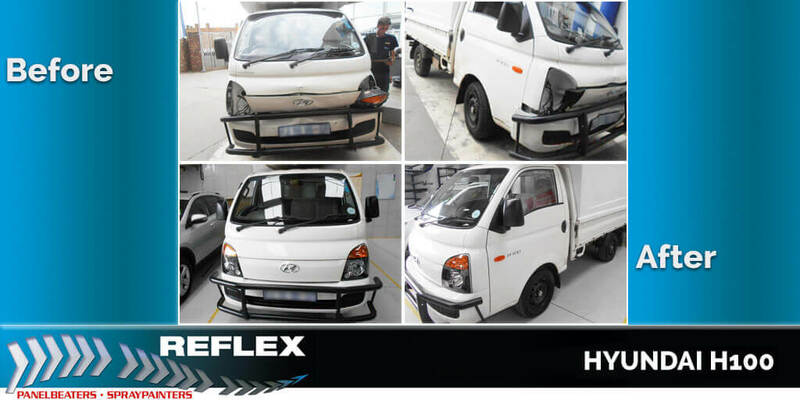 Using manufacturer approved techniques ensures that your vehicle is as safe structurally after the repair as it was before. We enforce strict quality controls to ensure that everything is done correctly, according to our high standards and those of the manufacturer. Colour matching and spraypainting both require precision and dedication. 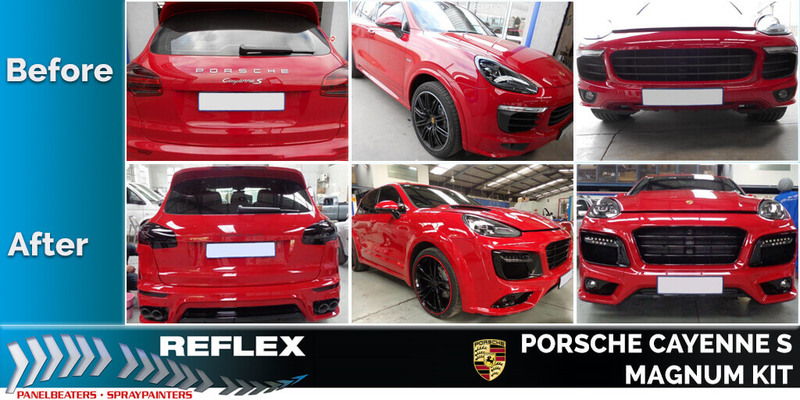 Our highly skilled technicians use the latest computerised colour matching systems to precisely match your vehicles paint colour. Our systems can even precisely match even the newest colours and shades. 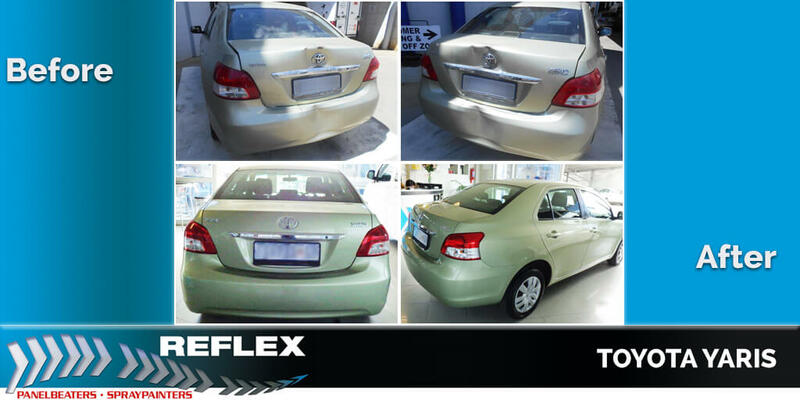 Reflex use waterborne paints which are environmentally friendly. 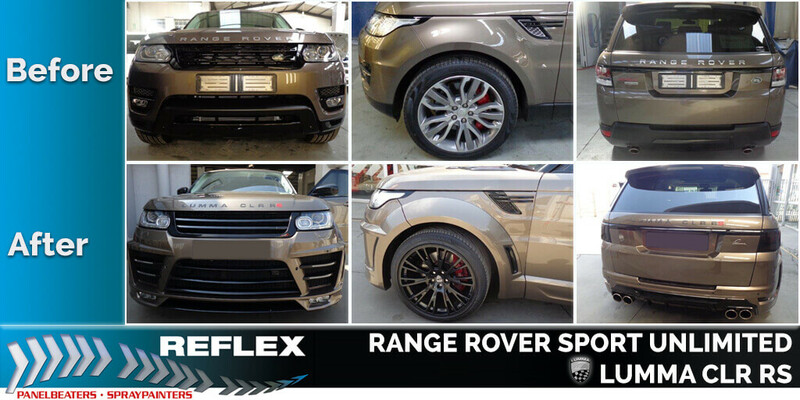 Reflex Panelbeaters and Spraypainters not only repairs damaged vehicles, but offer a variety of vehicle repair services as well as diagnostics. 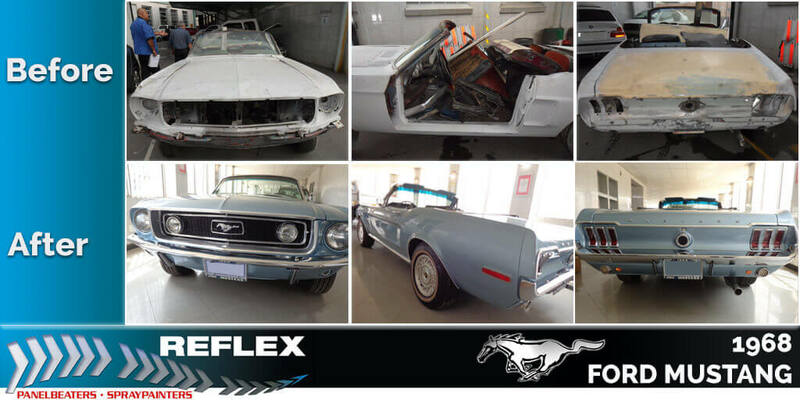 Using the latest state-of-the-art methods and equipment as well as using 100% genuine parts, we are confident of our client’s satisfaction.